Offering a complete service to cater for all your requirements. Established in 1985 we have a reputation to be proud of. We offer an excellent service and a top quality standard of workmanship. 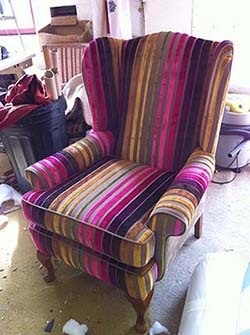 At TK Upholstery we pride ourselves in our customer relations and great customer satisfaction. For enquiries or ideas of pricing, you can send us a photo of what you need doing and we can give you a quote from that. Or why not pop along and browse through our fabric books for inspiration. We have the experience and expertise to met all your requirements with our excellent services. Call today for more information.